The dust has settled after our Five Hours of Fitness Fundraiser and we'd like to thank everyone who came along and supported us on the day. We raised a fantastic one thousand pounds, exceeding what we'd hoped for and it was a success in every way from start to Fonda finish. More than 50 people came through our doors, we ran back to back sessions from 9 till 2, trained hard and laughed hard, and gave out 26 great raffle prizes. 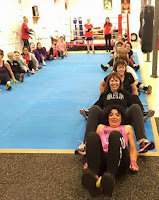 There was stiff competition during the Mothers vs Daughters Boxercise taster which featured a series of challenges with the Daughters emerging victorious. Rumour has it, the Mothers' day will come. They are seeking redemption so look out for that in March 2016. 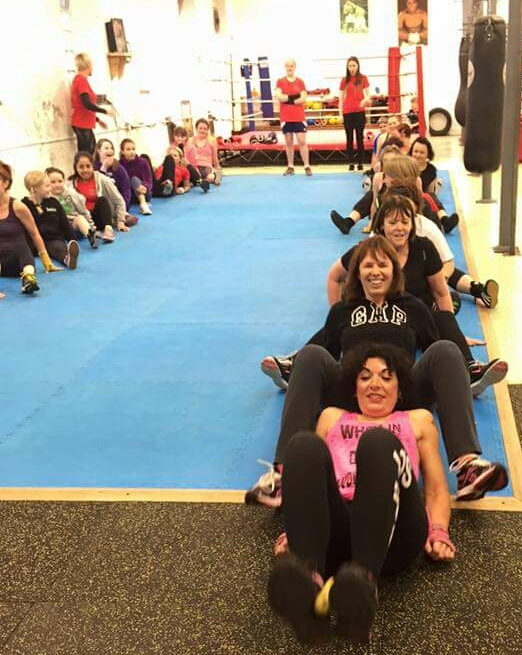 Hebden Bridge Boxing Club's female boxers, Hatty Nylan and Mia Kelly ran a great session with support from regulars Saba and Alex. We hope it inspired more of you to come to our regular Sat 11am training session. 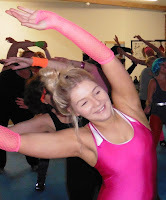 Rhea Carsmith's kick boxercise bash was big and went down well as did Bootcamp and Partner Circuits. 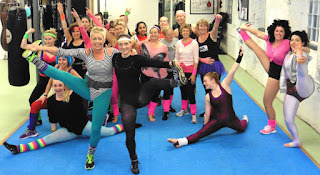 We put on leotards and leg warmers, painted peacock eyes and got our Fonda moves on with freestyling from Rhea, Kate Radford and Hurricane Hatty. In true style everyone jumped in, did their thing and we had a great time. We gave out plenty of energy to the big screen and got down with the godmother of aerobics. 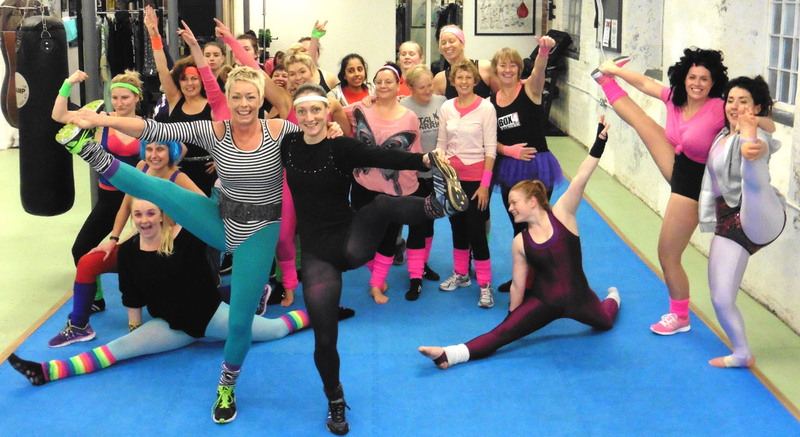 This was the highlight of the fundraiser for me, it was great to join in with everyone who'd been working all day in the gym and just have a good laugh. Great for the soul to laugh with your sisters! Our success means we can secure plans for the rest of this season for our female boxers. We'll have female representation at the Elite Championships in Liverpool, in April 2016 and hope to be at the Haringey Box Cup next year too. The generosity of our regulars and their friends, the amount and quality of goods donated and the time put in by everyone to make the event a success is genuinely appreciated. This opens many doors for our girls and will help to drive them to be the very best that they can be. We couldn't have done it without you so thank you again!